Yeah, I waited too long to make these baby doll dresses. I have been collecting fabrics perfect for such cute silhouette but I always end up with doing something else. Maybe because I've seen too much of these dresses around? However, I thought why not still do it, but with a fabric that I think is not as much used for this design. Denim, what else?! LOL! But I had it faded, because I love the comfy, worn-in look. You probably know this if you've been following me long enough since my early distressed and faded denim shorts days. 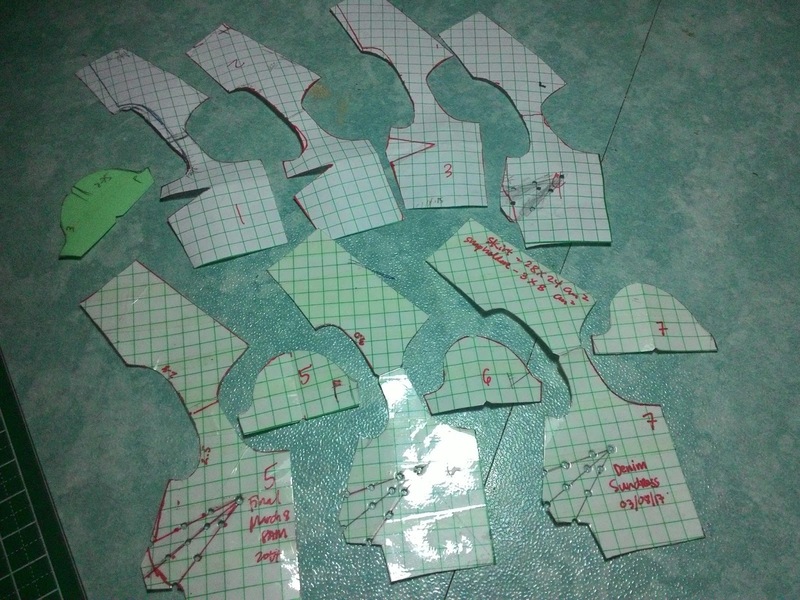 I came up with 7 pattern versions and 5 or so prototypes to shape this dress into what I had envisioned. I love what I came up with and made a few, now all available at my Etsy shop. I am planning to have this in prints soon, but for now, let me share with you the photos I took. I had Shefali to star in it, and gave her black accessories. The 90s styling reminds me of my teenage days. It's such a cute dress! Can't wait to see it in prints :) Congrats! Thanks so so much, V! Yes, me too! This dress is so cute. I remember wearing dresses like this, but mine were a little longer. One of the classics. I like it. Looking forward to seeing the different patterns and the different fabrics. Thanks, Vanessa ;) I am gathering up my fabrics this weekend! Yay! She is delightful this dress, congratulations for your perseverance, the beautiful result is there ! Thanks so much, Guyloup! I am the type of doll clothes maker who wouldn't stop until I'm happy with a pattern because that pattern will be used over and over again... Hahaha I sometimes want to remind myself to slow it down a bit, but I just can't help it.. In the year of 2017. People around me suddenly begin to hang out with long yellow maxi dress.I'm feeling curious and suspicion at the moment:"Is this a thing now? "And here's my thoughts after research and the dress that I bought. Tamica and Bree: Newest Repaint Versions!